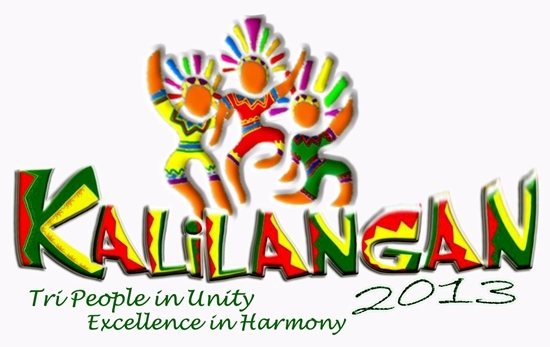 Get ready for the biggest celebration in General Santos City this month of February - the Kalilangan Festival 2013! From a Maguindanaoan term "kalilang" which means celebration or festivity, Kalilangan Festival is a celebration of Gensan's rich and diverse culture and heritage and coincides with the foundation anniversary of General Santos City. It was recognized as the Best Tourism Event (Culture and Arts category) in the country in the years 2011 and 2012 by the Association of Tourism Officers in the Philippines. 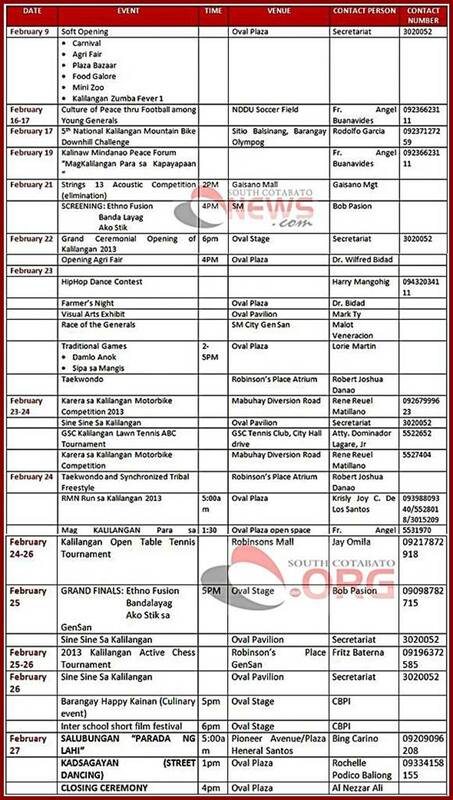 Here now is the schedule of events for the multi-awarded and must-experienced Kalilangan Festival this year. Tara na sa Gensan, mag-Kalilangan! See you all. Also check out the following presentation produced by the Kalilangan Foundation Inc. to give you ideas on what to see and experience in Kalilangan Festival.